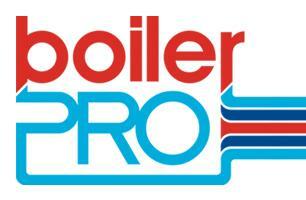 boilerPRO Ltd - Central Heating Engineer based in Esher, Surrey. A family-run plumbing and heating company, based in ESHER High Street, covering all areas of Surrey and South-West London. With 93%* of boiler repairs being successful within the first hour, we really know our stuff! If we need a part, we'll get it normally the same day, and get you back up and running. If you need a new boiler, we'll be back at 8am with a new one, and you'll have a hot shower that night! What more could you want? Our customer is King! It's all about providing the best service we can, from the moment we answer that call, to the engineer’s timely arrival, tidy execution and satisfactory completion of the job, in the most time and cost effective way.